These miniatures are the rarest produced - those that have never been released to the general public at all! None of the models on this page were made commercially available so their numbers are extremely limited. Generally they were early or test versions that weren't considered suitable for general sale but very few have been given away by Corvus Belli to mark special occasions or victories in particular tournaments. 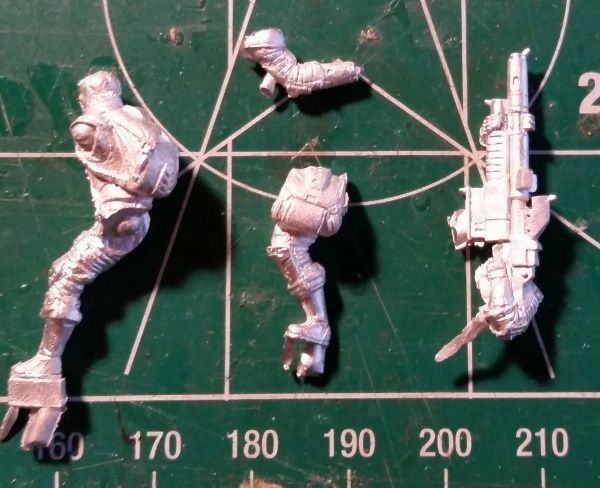 It's unclear how many of each there are floating around, but 8 is probably a fair guess as that is how many would typically be on a master mould. 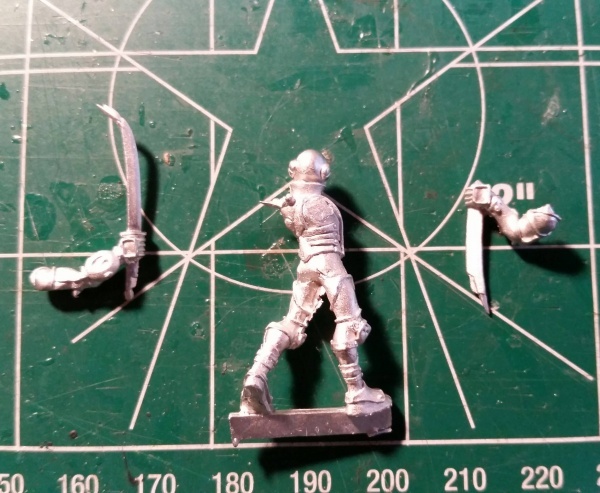 The six sculpts below are those that I am aware of but if you know of any more, or have further info or corrections about any of them, then please do let me know and I'll be sure to add it in. Also, if you happen to own one and are looking to sell then don't forget about me! 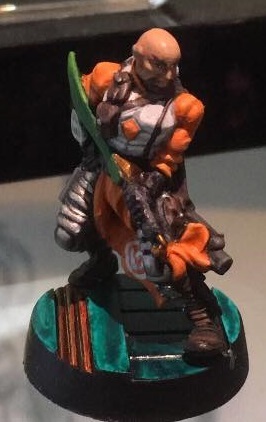 We're starting this tour with a Monk for Yu Jing which was sculpted by Carlos Torres. It is clearly one of the newer designs (as opposed to the chunky hand-standing ones that were out originally) but was possibly intended as a separate blister release. 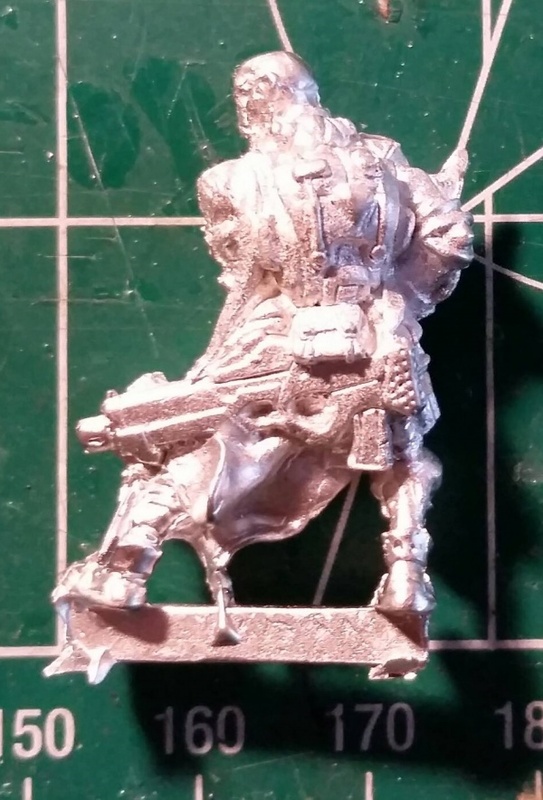 This Monk was rejected after a moulding test, but I'm lead to believe that one was given by Corvus Belli to the winner of a Spanish tournament. 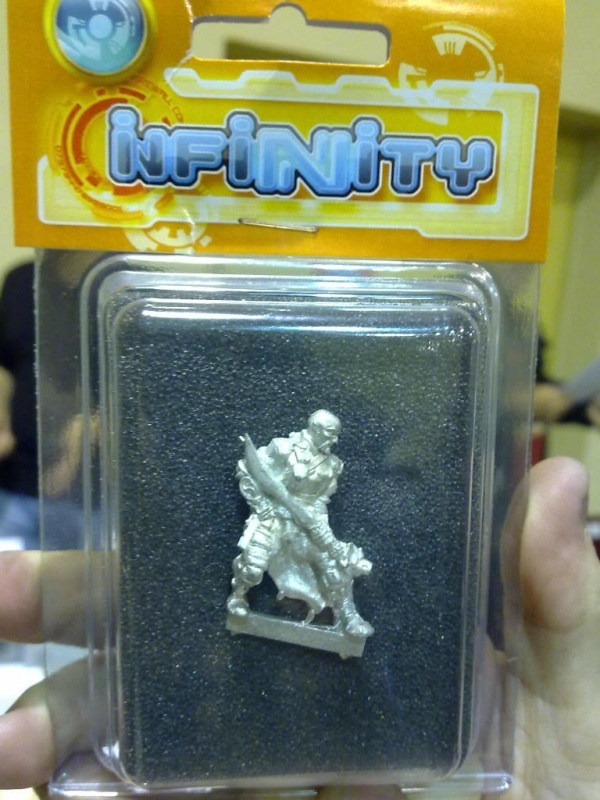 There appear to be a handful of unpainted ones floating about also. 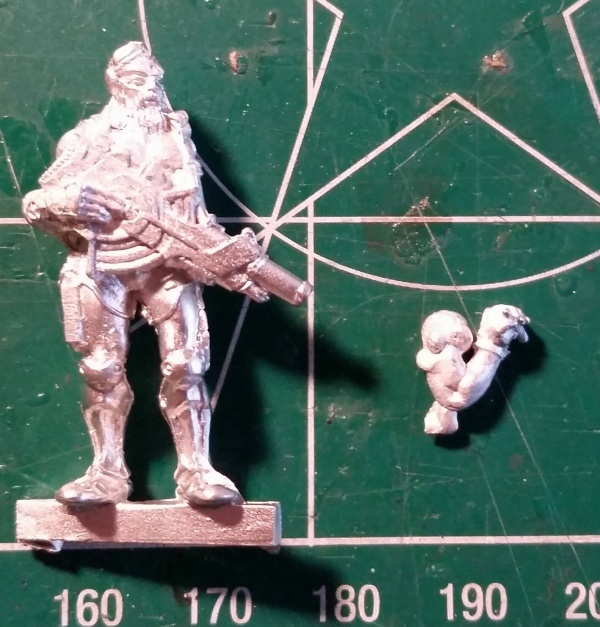 The Ghulam HMG represents a half-way point in Haqqislam miniature design where the Ghulam sculpt was being brought up to date but the new weapons had not yet been designed. 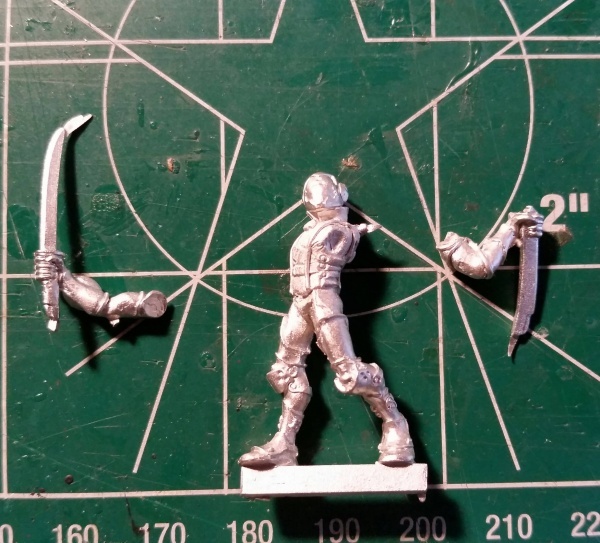 It was discarded and replaced by a new HMG-wielding trooper in the SWC box. It's also interesting to note that he is left handed! 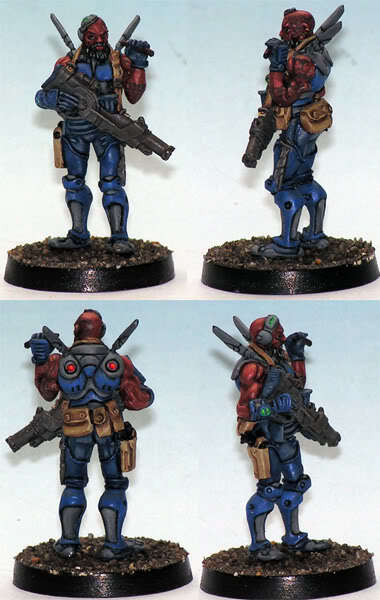 An example of the model was given to Admiral JFJC as part of the Operation Flamestrike campaign for his services to PanOceania. 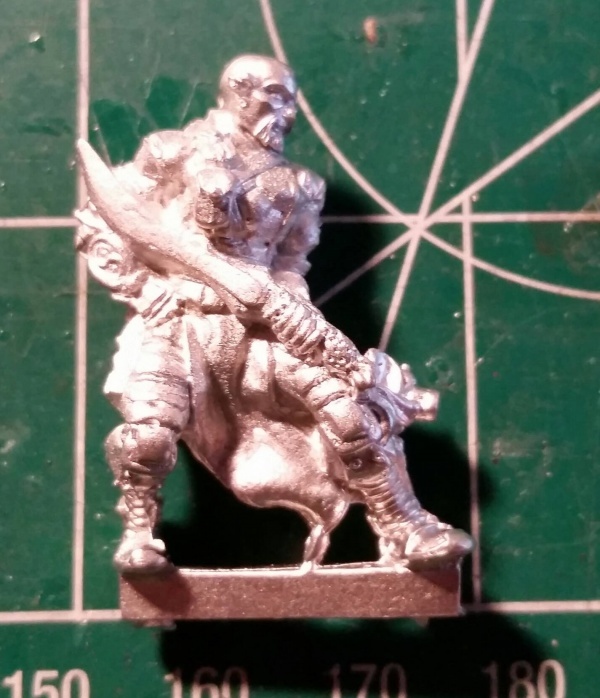 This is the first Dog Warrior to be sculpted and it was designed by Carlos Torres. It was subsequently re-done because it was thought to be too skinny. 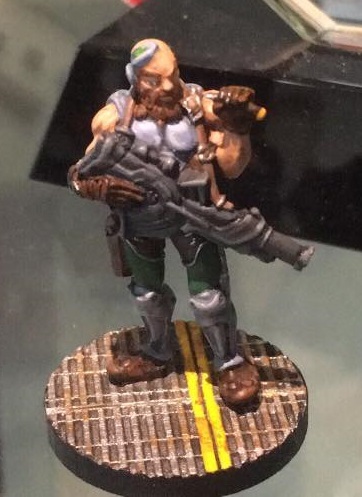 This one was painted by SirAlban and is owned by Alberto Alfonsin, AKA Pavel MacManus, who is an old Ariadna playtester. The original sculpt of the Crocman was rejected because Corvus Belli wanted him to have a more dynamic one with "maori face". 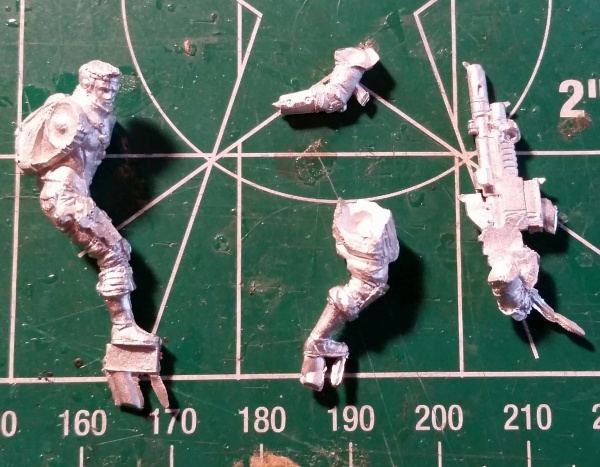 The replacement is the Crocman found in the original PanO starter box. 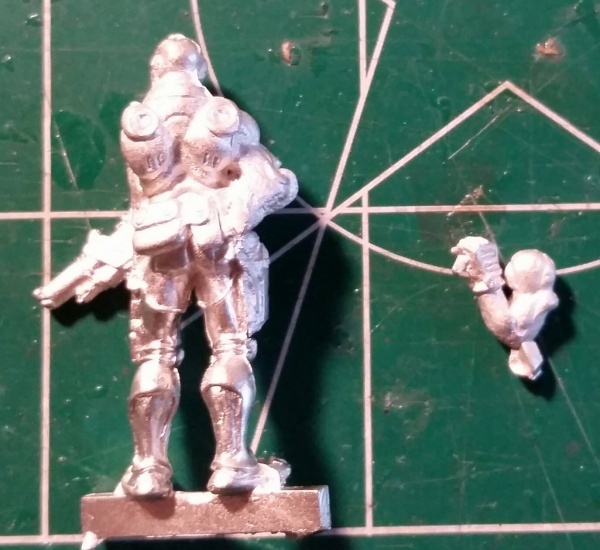 This is one of the earliest ever sculpts and was made before the game was even properly available in stores. It was sculpted by Fernando Liste. 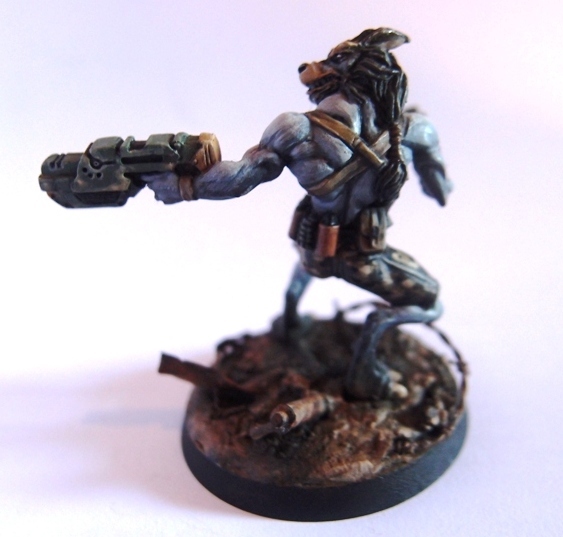 An example of this miniature can currently be found in a display cabinet at Corvus Belli HQ. 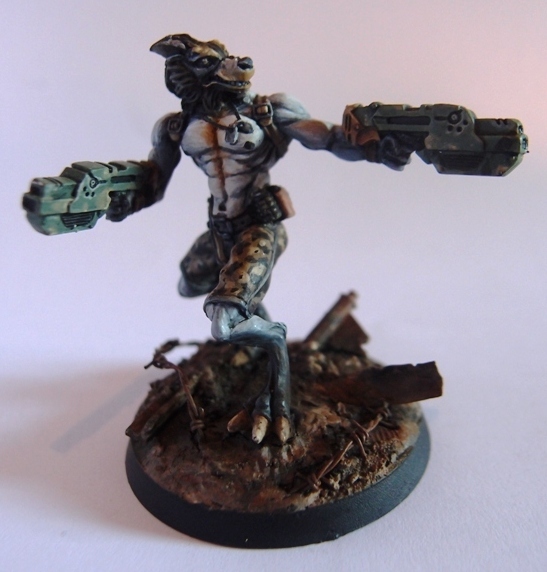 This miniature came to light when it appeared at the back of a group shot of Galwegians showing how they had improved over the years and it currently resides at Corvus Belli HQ along with the Ninja. This page was last modified on 11 April 2017, at 08:30.